Under the sunshine, under the mosque’s minarets, under the rising engine fumes, another world exists. In the old towns, sheet metal covers slender walkways of pisé mud brick walls, giving home to the collections of merchants stalls known in the Middle East and Northern Africa as medinas, or souks. Abruptly in Fez’s Medina, I realize I can barely breath. 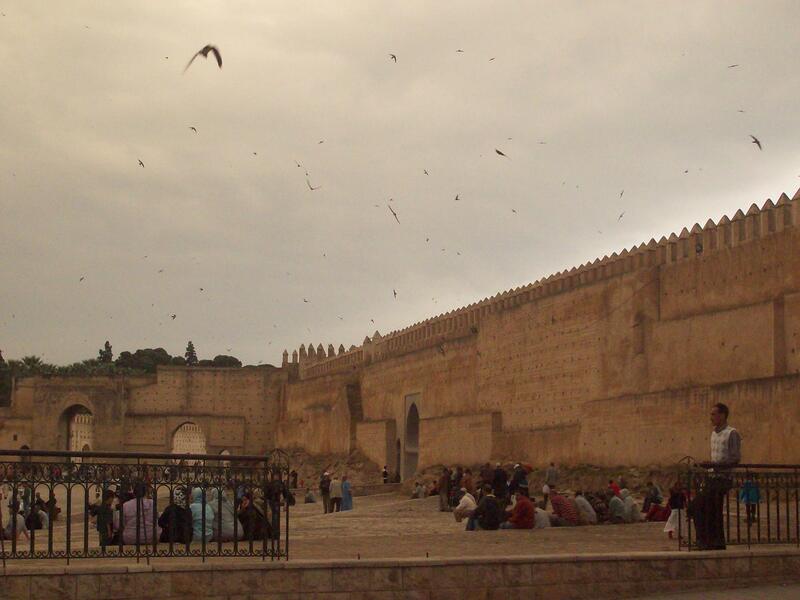 Unlike Marrakech’s open J’emma El Fna, Fez’s old townhas no opening. Just continuously cramped passageways. Every side has options to browse. Soon it is clear the lanes do not deposit me at a destination, like stairs to a room. The stairs simply continue. I keep a pace of intent as to repel hustlers. Though starting to feel the pressure build. No air and narrow walls. Mounting paranoia. Quickly, I duck into a café where I huddle down, order my food, and eat in peace. 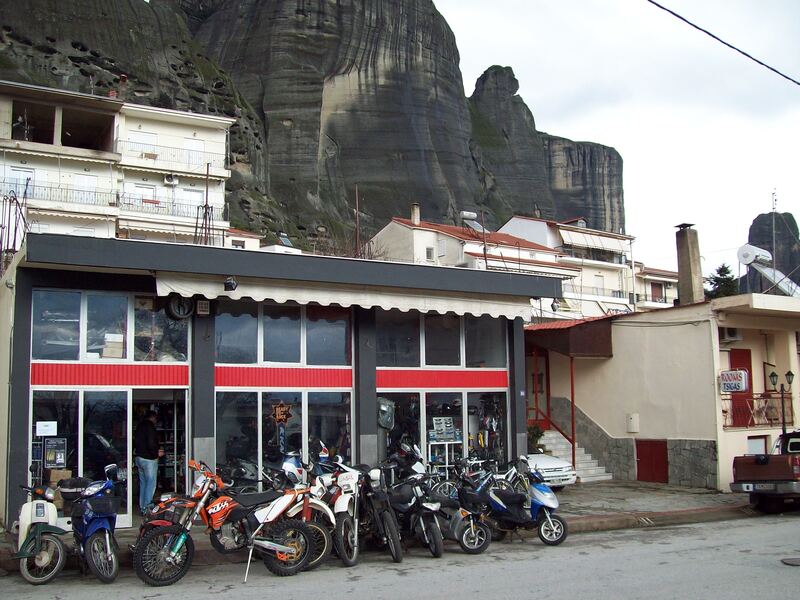 The Medina offers a crossover into the ancient world. Merchants still sell spices of saffron and cumin, along with salts, and dried bodies of chicken and sheep that hang upside down with bellies like fleece. The maâlems, or master artisans, chat in front of their shops. Change is easily made with neighbors. The shab al A’hwa greets a boy arriving to the café with the morning’s supply of mint leaves on the back of his bike. Visiting friends drop in on to clear or collect debts. Walking past, one hears hammering and live crafting of copper or silver tea trays. Dyes from Saharan oils and minerals find their way into the symmetrical sewing of rugs, creams contrast dark-blue backdrops and form matrices in each. Textiles of crimsons, green, and purple are tucked away in shelves, awaiting the grasps of customers. Shop’s corners are stacked with felt hats, gold-dyed cowhide slippers, and almond or wine-dark leather jackets. Old men with shaky eyes eek along in long djellaba coverings, holding canes. Youngsters swipe passed on mopeds but despite their beeping, banter prevails on the cobblestone streets. Like the ancient Agora in Athens, the medina remains a place to meet, to gossip, and argue politics over lunch before heading back to the job. Most of all, the medina is the theater of barter for goods. 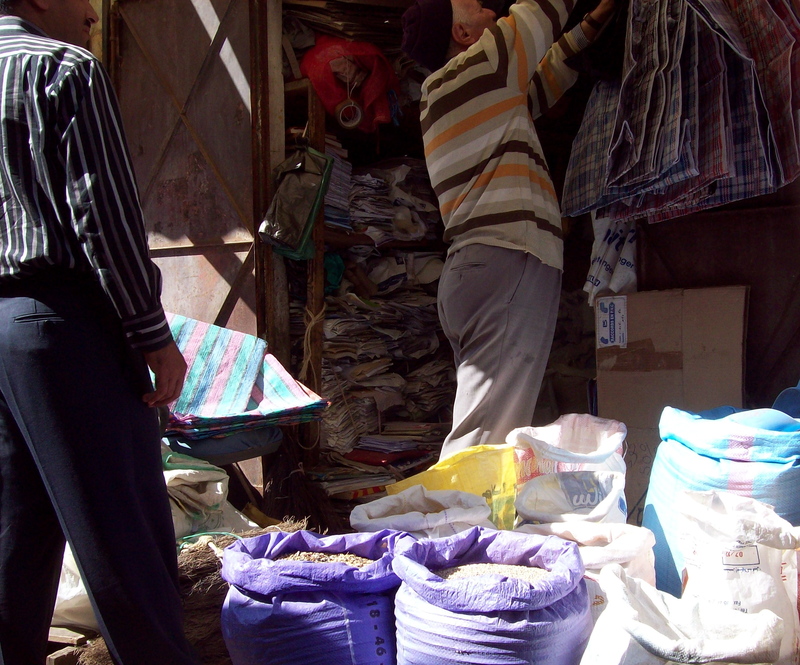 Life in the souk is slow paced. It is disrespectful for travelers to rush deals. Although disputes over prices may appear unorthodox to the Westerner, it is a part of cultural tradition. As Akbar Ahmed points out, the Islamic tradition is “rooted in thought and debate, a tradition going back to the prophet himself. The history of Islam is the history of ideas and their power to affect people’s actions.”Due to the charismatic nature of the maâlems, simply making it out of the customer/artisan role-play without overspending is a battle. At the Hotel Central Palis in Marrakech, Nathan and I overlook the Jaamah El fna. Even from our roof, the buzzing square of flickering lights and wafts of meat smoke is intimidating. Yet we decide to enter for a late dinner. With noise on all sides, I feel lightheaded as if floating. Everything moves in the slow pace of desert life. We keep in single file to avoid clipping heals. As drums beat nearby, I spot a group of older woman, all covered in hijabs and reading the palms of their daughters while waiting for customers. “Are you scared of snakes?” I hear from behind. Easily enough, one can become overwhelmed in any medina. Small charges often get hairy. 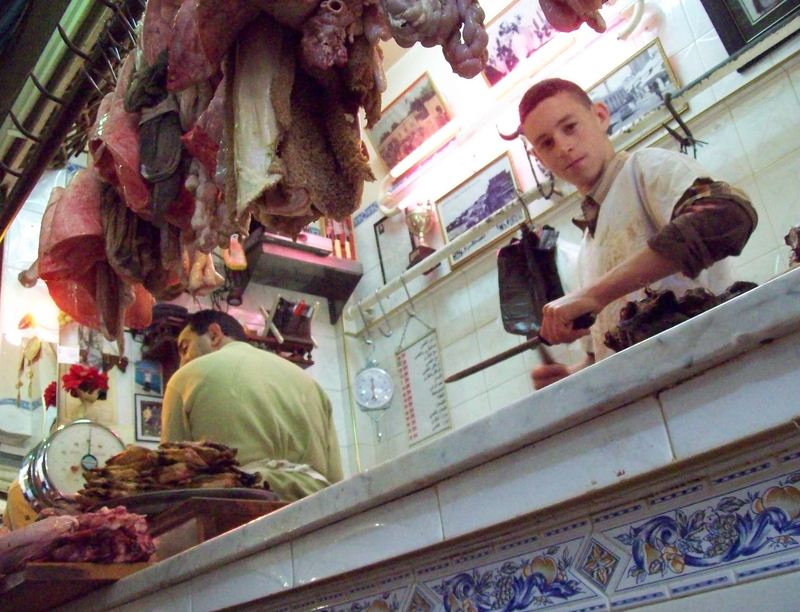 In Fez, Francois and I explore the old town’s famous tanneries. A guide shows us up to a roof where we see cow skins soaking in stone baths of deep red dye. He hands us mint leaves to block the powerful stench. After leaving the rooftop, our guide disappears. I assume he is attending to other business in his leather shop. We head out, but while slinking our way through a tunnel, he remerges to demand a tip, looking disgusted that we left. “Too much,” I respond, stone faced in sunglasses. When we settle on Dh500, his tone changes and we shake hands professionally, the dank tunnel having become a negotiation room.